The Chinese mainland saw inbound tourists reach 139 million in 2017, up 0.8 percent, according to a report released in Beijing on Wednesday by the Chinese Tourism Academy (CTA), a think tank under the Ministry of Culture and Tourism. 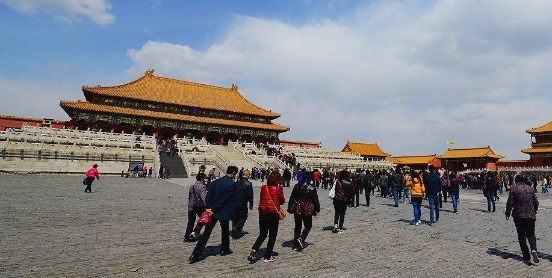 Foreign visitors to the Chinese mainland reached 29.1 million, up 3.6 percent on the previous year, bringing in US$69.5 billion in revenue, up 4.1 percent on the previous year, CTA said in the report. Travelers from Hong Kong, Macao and Taiwan made 110 million trips to the Chinese mainland last year, making up 79.09 percent of all inbound visits. Revenue from the inbound tourist sector last year reached US$123.4 billion, up 2.9 percent over the same period last year. According to the report, there is an increasing number of inbound tourists from countries along the Belt and Road. Want to know which countries had the most inbound visits to Chinese mainland in 2017? The Chinese mainland saw inbound tourists reach 139 million in 2017, up 0.8 percent on the previous year.